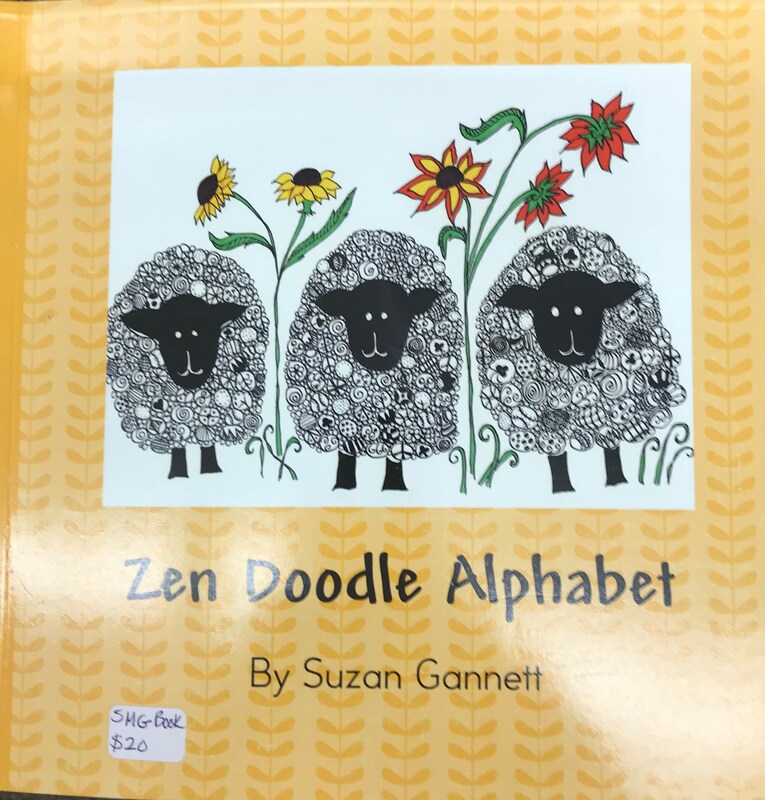 Zen Doodle Alphabet written and illustrated by Suzan Gannett. The book has each letter of the alphabet colorfully displayed using zen doodle designs. The letters explore place, animals, names and foods that start with the letter displayed. Age appropriate for 3-6. Cost is $20.